Chang is the seventh UCF College of Engineering and Computer Science (CECS) professor in three years to earn the prestigious recognition. He is the only professor at UCF elected in 2011. 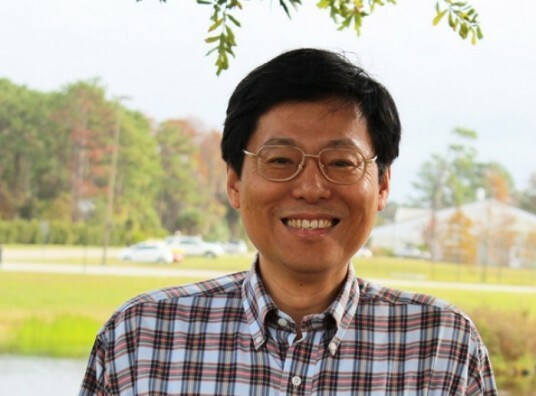 Chang is a professor in CECS’s Department of Civil, Environmental and Construction Engineering and the director of UCF’s Stormwater Management Academy. During his six years at UCF, he has received $2.2 million in research funding. He holds six U.S. patents; has published more than 190 peer-reviewed academic journal articles; and has served as a board member, associate editor or editor-in-chief of more than 30 academic journals. The honor adds to Chang’s list of prestigious fellowships. In 2008, he was elected as a fellow in the European Academy of Sciences, and in 2009 he became a fellow in the American Society of Civil Engineers. Chang’s primary research has centered on environmental sustainability, systems engineering, technology integration and process optimization. His six patents are related to wastewater treatment processes involved in absorbing and removing water contaminants, such as nutrients and bacteria, which lead to the re-use of the water. He considers this work his greatest professional accomplishment at UCF. At the Stormwater Management Academy, Chang leads a variety of research projects related to stormwater treatment, runoff and retention, removal of water contaminants, ecosystem restoration in lakes and rivers, use of wetland systems for wastewater treatment, and more. He has studied a suite of environmentally green materials known as “biosorption activated media,” such as sawdust, tire crumb, limestone, sand and coconut husks, to determine their ability to absorb nutrient contamination in water caused by lawn-care fertilizers. Dr. Chang’s secondary research is leading him into the world of electrical engineering and computer science. His research involves studying ways to monitor pollutants in water, air and soil using satellite remote sensing images, airborne remote sensing platforms, and ground-based sensor networks. He is developing new mathematical algorithms to enhance satellite image processing to better estimate the level of pollutants -– such as algae blooms and chlorophyll-a -– in lakes and coastal bays. Election as a Fellow of AAAS is an honor bestowed upon members by their peers. Fellows are recognized for meritorious efforts to advance science or its applications. The 539 AAAS Fellows elected in 2011 will be honored Feb. 18 during the organization’s annual meeting in Vancouver. The new fellows will receive a certificate and a blue-and-gold rosette as a symbol of their distinguished accomplishments.